This easy Roasted Chicken recipe is one of my favorite ways to do chicken. 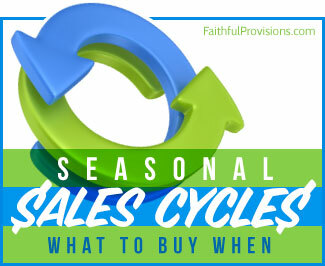 It turns out a juicy, flavorful chicken every time–very much like the rotisserie chickens you purchase already cooked at your grocer’s–but for less than half the price. When I am able to get regular chicken for $.79 per pound or organic chicken for $.99 per pound, I will stock up so that I have several chickens on hand in my freezer. This recipe is for an oven roasted chicken. (Scroll down for the link to an adapted version of this recipe for the slow cooker.) Since I will have the oven on for five hours, I try to cook two chickens at a time. This saves energy, time, and allows me plenty of chicken so that I can create several different meals to enjoy throughout the week, and also, make a few of my favorite chicken recipes to freeze. MORE RECIPES: Keep scrolling down to the bottom of this page, past the printable recipe, for more recipe ideas on how to use all the leftover chicken. Is there such a thing as easy roasted chicken? Actually, yes! Preparing a whole chicken is SO easy. If you’ve never done it before, you’ll be surprised at how simple it really is. (The printable recipe is below.) These step by step instructions will show you exactly how to prepare a whole chicken. 2. Remove innards from the center of the chicken. (I encourage you to wear disposable kitchen gloves to do this!) With your hands, separate the outer layer of fat from the chicken meat underneath it. (See my picture below. This is what it looks like when separated.) It is just like a little film, and you just pull it away. Do that on the top and bottom of the chicken, and also around the legs. 3. Take the seasoning mix in the recipe below (or your favorite), and just sprinkle it or rub it in between the chicken skin/fat and the meat that you separated. 4. Quarter an onion or two and stuff a few pieces in the center (where you removed the innards). Be sure to dispose of kitchen gloves and wash your hands well when you are finished. 5. Cook for 5 hours on 250 degrees. 6. Baste after the first hour. (Basting is taking the pan juices and pouring them back over the top to keep it juicy!) If you don’t have a basting tool like this bulb-basting syringe HERE, just use a spoon and pour it over. *Cooks Tip: I use this same recipe for bone-in chicken breasts, and just cook in the oven at 350 degrees for 1 hour. You can also do a slow roasted chicken in your slow cooker or crock pot. My crock pot version of a Slow Cooker Roasted Chicken Recipe is HERE. It’s really easy to make this wonderful homemade chicken stock recipe when you make the roasted chicken in the slow cooker. 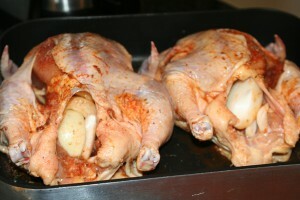 Remove the giblets from chicken, clean the cavity well and pat dry with paper towels. Rub the spice mixture onto the chicken, both inside and out, making sure it is evenly distributed and down deep into the skin. Before roasting chicken, stuff cavity with onion, and place in a shallow baking pan. Roast, uncovered at 250 degrees for 5 hours. After the first hour baste chicken occasionally (every half hour or so) with pan juices. The pan juices will start to caramelize on the bottom of pan and the chicken will turn golden brown. If the chicken contains a pop up thermometer, ignore it. Let the chicken rest 10 minutes before carving. Try any of these Roasted Chicken recipes with your chicken pulled from the bone. Buffalo Chicken Dip – One of my favorite appetizers! What about you? What do you create with leftover cooked chicken? Share some of your favorite recipes below! This looks so good and easy. White pepper is wonderful and I am willing to pay the price for it. It has a taste all it’s own. This is a classic- thanks for making it so easy to understand! Can’t wait to try. Now, can you tell me why they include the giblets? Are they eaten in some circles? Bleh. That is a great recipe. I am definitely going to try it. What I do with leftover pulled chicken is I use it in quesadillas. I take the chicken and place it on half of a large tortilla and add chopped green onions and shredded mexican cheese blend. I fold over the tortillas and bake at 350 til the cheese is melted (about 15 minutes). I serve it with salsa and sour cream on the side. Today I learned from the Cooks Illustrated site, how to remove the neckbone and butterfly the chicken. 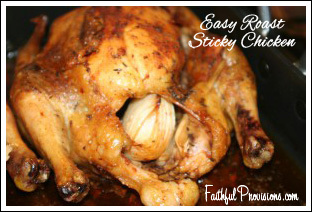 Because of the flatter chicken; this reduces the amount of time to cook the chicken and I am trying this tomorrow with the Sticky Chicken. I will often make BBQ Chicken Pizza with my leftovers. 🙂 Also BBQ Chicken Cornbread (OLD Pampered Chef recipe)–basically cornbread base with a mix of bbq sauce, chicken, corn, olives, cooked onion, cheese (hopefully not missing anything–typing off the top of my head!). Also, I cook the bones for another meal of soup or batches of my own “canned broth” in the freezer. Love this! It looks so yummy and you really have a good recipe! I will follow that the next time I make roast chicken. I love how you make it so easy yet very delicious! Sounds awesome! Where do you usually get your whole fryer chickens? I love to use shredded chicken to make BBQ chicken sandwiches. You can soak it in your favorite BBQ sauce in the crockpot or even in the microwave. Put it on bread or a bun, and that’s it! 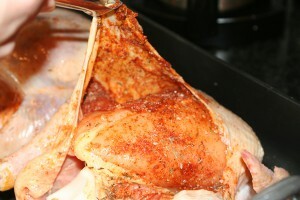 after putting the spices on the chicken, do you pull the skin back over the chicken or do you completely remove it? Melinda – I pull the skin back over the chicken. Tried Sticky Chicken for the first time on Friday night. We loved it!!! I only did one chicken since we hadn’t had it before, but I’ll definitely do two next time! Wow, I have the exact (pretty sure, but I would have to double-check my measurements) recipe except I make mine in the crock pot! Wild! This is probably my favorite chicken too, so easy and so good! I like your idea of cooking two at a time in the oven! I have been making this chicken for years. I also like to use oranges or lemons to stuff the stuff cavity with instead of the onion. I look for reduced oranges or lemon since no one is going to be eating them. Made this tonight for the first time — yummy! 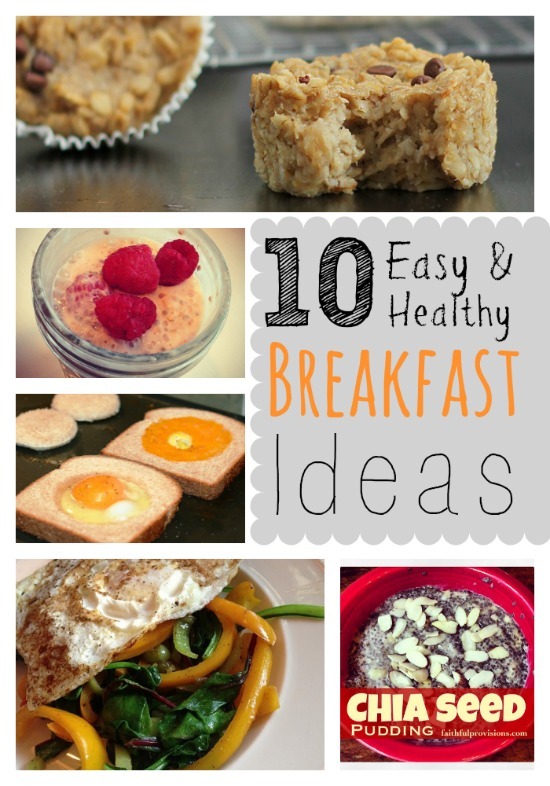 My hubby said — this is wonderful, you can make this twice a week if you want! Kudos to you! He gets gout, so we have to avoid shellfish and red meats — so we eat ALOT of chicken around here. Now I have one he’ll really enjoy! Thanks! Hi Kelly! I tried this tonight and it was delicious! I added some butter and water to the pan for extra basting juice. We all loved it! Thank you : ) ! I just put chicken in the oven with this recipe. Thanks so much! Like you I didn’t have white pepper but I’m about to order it on line for the next time. I use left-over pulled chicken in quesadillas, chicken tortilla soup, and chicken salad, most often. We live in Africa and I do a lot of chicken canning. I use left over chicken skins, bones and everything else that we don’t eat to make dog food. After the chicken is pressure cooked once for cooking and then again for canning, the bones and cartilage fall apart and are safe for the dog. And she loves it! Plus, there is absolutely no waste. Every single part of the chicken is used. I have one cooking right now!!! I cook mine in a crock pot, sitting on a few balled-up pieces of foil, for a faux-tisserie chicken! Smells delicious! This sounds absolutely delicious!!! I plan to try it in the next couple of weeks. Thanks for sharing. I love how you cook two at once because it makes so much sense to do so. Hope mine comes out as good as yours. I am hoping it will so I can do this at least once a month. Ok this may be a stupid question, but why is it called “sticky”chicken? I’ve prepped my chicken and it’s in the fridge. Can’t wait to pop it in the oven in the morning and have a nice Sunday lunch with the fam. Thanks, Kelly. Fantastic recipe! My husband said it’s the best chicken I ever cooked! I didn’t have onion powder (so I omitted it) or an onion (I used a leek instead). I served it with squash casserole and green beans. I’ll be making chicken quesadillas tonight. First top with chicken and bbq mixture, then beans and top with cheese. Serve with your favorite toppings. (mine are: jalapenos, sour cream, Frank’s Hot Sauce, diced tomatoes, avocados and cilantro) Load it up! Thanks so much, Kelly! We’ll be having nachos for lunch today. Saute 2 stalks of chopped celery, 1 chopped medium onion, 2 chopped carrots, 1 clove of crushed garlic and 1/2 tsp powdered sage in 2 Tablespoons of olive oil for about 8 minutes. Add one 32 oz. carton of chicken broth (or homemade)and two cups of water. Bring to a boil. Add medium egg noodles. For the last three minutes of boiling, add pulled leftover Roast Sticky Chicken (2 or 3 cups). Fresh groud black pepper to taste. Quick and delish! I made this for the first time and thanks to you Kelly with your step by step instructions it came out delicious!!! My family loved it soo much!!! I know I will be keeping this recipe in my books!! The thing I love most is that you give additional ideas on how to use the leftovers!! Kudos!!! Thank you so much for this recipe. I made 2 chickens this weekend in my new Paula Deen roaster and we had dinner that night, plus enough shredded chicken in the freezer for 5 more meals. AND the dogs got a snack, too. 😉 We plan on trying the BBQ Chicken Nachos this week. 🙂 Thanks for the tips! Had those Nachos on Sunday night, my absolute favorite!! My husbands too. This looks really good and I’m going to give it a try. I found out that if you have an 18 qrt roaster oven you can cook 3 whole chickens at a time and it uses much less electricity than a full sized oven. I love to make chicken and dumplings with some of the left over chicken. I usually debone the chicken after dinner and put the bones right back in the roaster oven on about 200 degrees with lots of water and start my stock that night. I found out some time ago that the leftover “gravy” and bits of chicken in the bottom of the dumpling pan is great for the filling of chicken pot pie. Add some leftover veggies, a cut up potatoe and a little more chicken and it is ready to go. I will have to give a roaster a try! Never thought of using one. I do this whenever the whole chicken is on sale. We prefer white meat, but I roast a chicken, debone it, and use the dark meat for cassarole type dishes. I also take the bones and drippings from the chicken (fat skimmed off first) and boil them in a pot with the stuffed onion and spices, reduce it down to half, strain, and freeze for homemade chicken broth — or strain and make a chicken soup/stew with it, adding veggies and shredded chicken. Does this freeze well? How would you do it…cook, shred and freeze in ziploc bags? Yes, and I would even take the juices and put them in the bag with the shredded chicken to keep it moist. I made two chickens today using this recipe and all I can say is WOW! My husband and son raved! This is one of the best tasting things I’ve ever made (that didn’t involve chocolate)! I’m not comfortable using lots of different spices, but I made this according to your directions. I forgot I needed to leave them overnight with the seasoning on, so I didn’t do that step, but did everything else. The chickens were small, but ooohhh soooo tasty! We ate most of a whole one, with a little left to pick off the bone. I’m making stock with the carcasses and will add the little chicken bits to it for yummy soup. Thank you so much! Love your site too. So glad you enjoyed it! It is my favorite!! I finally tried this recipe this weekend after looking forward to it for weeks. We did enjoy it but found it to be a bit salty for our tastes. (and we are not low salt or salt sensitive people). I used coarse Kosher salt as that is what I generally use for all of my day to day cooking and that may have been my problem. I did two chickens at once and doubled the ingredients list but next time I won’t double the salt – maybe just 1.5X. Using leftovers in burritos tonight! Just wanted to say Iove so many of your recipes. This one is my favorite! I make Sticky Roast Chicken at least twice a month. Hello! This is my first time making a whole chicken, we are just waiting for it to come out the oven, so far the house smells yummy my family and I cant wait for the first bite! Thank you!